Is it possible to Cheat in Warface? Indeed as in ever Shooter out there. There are 3D radars that will highlight players and explosives, giving you a huge strategic advantage and there are auto aiming programs that will automatically aim and shoot your guns/pistols ect. – These will allow you to farm oney quickly. However, there are NO god modes, money hacks, unlimited ammo cheats or anything like that. Is it legal to cheat in Warface? Will I get banned from the game for doing it? Cheating in online games is legal in every country out there. And yes, if you are being a prick and abusing your aimbot to annoy others, then they will report you and you will hopefully get banned. Aside from you annoying other players, you don’t have to worry, unless you are using outdated software. 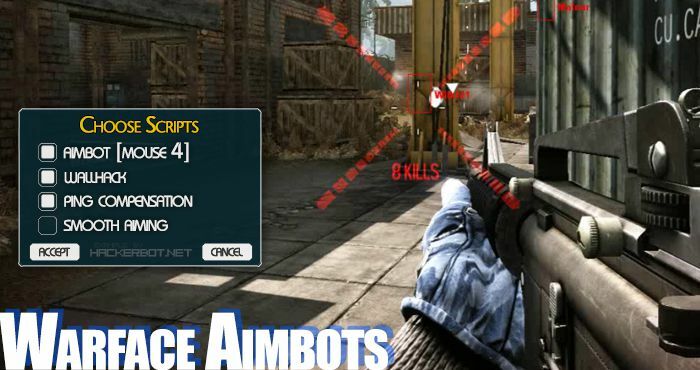 Find and Download Warface Hacks and Aimbots today! 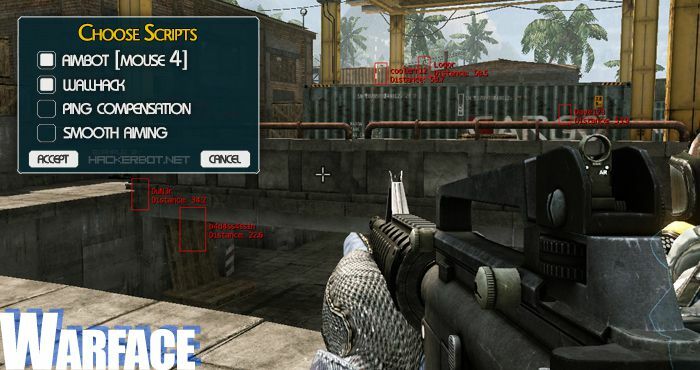 Cheats in Warface include any and all methods that allow you as a player to earn more XP and money to unlock and buy more weapons, increase your game performance and statistics. Since this is an online multiplayer game, there are no ways of cheating, such as cheat codes, integrated in the game, forcing us to come up with our own methods. 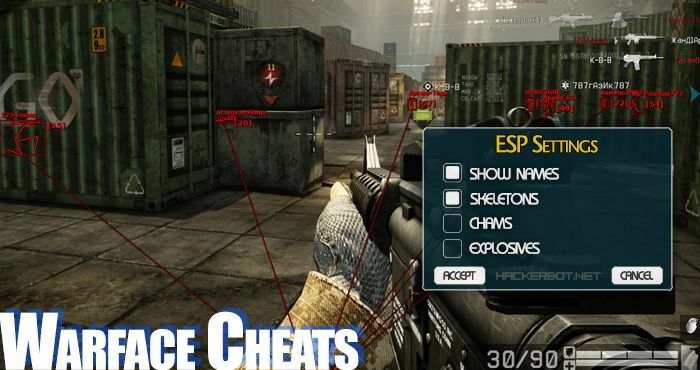 Most the working cheats for Warface are Hacks, such as ESPs and Aimbots and those are also the most popular ones. The way that Warface handles client-side processing also allows for a few other hacks, such as no-spread and no-recoil hacks. There are free hacks out there that you can use in this game, however we have to warn you that these may be detected quite swiftly and may therefore endanger your account. If you want to make sure that you are using hacks that are always up to date and more importantly: undetected, then you need to buy a paid hack subscription. – You can find lists and reviews of trustworthy paid hack sellers in our reviews section here on HackerBot.net. As always don’t overdo it and respect the game and it’s players. One reason why cheating in First Person Shoothers such as Warface will always be possible is the fact, that the whole map including all enemies in it have has to be processed and rendered on your computer. This allows a hacker to locate enemies and create simple bots that can aim at them and even shoot them for you. Most aim bots are either toggled on and off by a hotkey and will continue shooting enemies until they are toggled off. A lot of aimbots also include an aiming key that will automatically aim at enemies if you hold it down, allowing you to use the aimbot without being too obvious about it. Personally I recommend using only the aim hotkey, since it is not as easily identified as a hack and the chances of you and everyone else using the same hack getting banned are lower. ESP (Extrasensory Perception) Hacks are tools that will extract information from your game memory and visualize it for you. With other words ESP hacks will show you things that you aren’t able to see if you are not using hack. 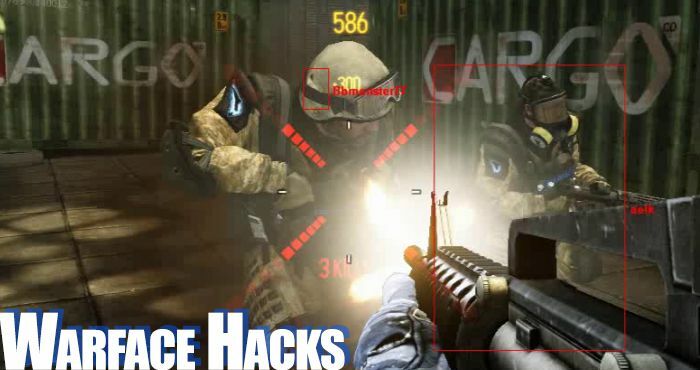 The most infamous ESP hack is probably Wallhack: This cheat allows you to see you enemies through walls, allowing you to easily take them out by shooting through walls or tracking them down and killing them. For me personally, the wall hack is the best kind of hack out there, since it does give you a huge advantage, but does not directly ruin everyone’s fun like aimbots do. ESP hacks can be used to diplay just about any kind of information: Player names, health, class, weapons, ammo, distance, claymore and mine locations and a lot more. The main problem when it comes to cheating in any online first person shooter and Warface in particular is that you are annoying a lot of people, ruining their game and by extension are causing the developers financial loss. If you run around getting 300 kills per match, then a lot of people will spend a lot of time looking at a respawn countdown and that is no fun. Those people will then perceive the game to be full of cheaters and play less. If people are playing less, then that leads to people buying less Kredits and Cryteks profits decreasing. Now that’s why it is in Cryteks best interest to do everything possible to ban cheaters and patch any possible hacks and exploits. So if you should decide to use hacks in Warface, know that there are people with admin-rights trying to get rid of you and be careful. If you are not careful and overusing hacks, then be sure that you will get reported, your hack detected and you will get yourself and everyone else using that hack banned from the game. So please use any cheating software with respect for the other players and the game developers. Warface is one of the very few modern online shooters that still make these kinds of hacks possible: No-Spread hacks will make all your guns have no bullet spread and hitting your crosshairs exactly. In combination with an aimbot and the fact that WF does not feature bullet travel time, this makes your hacks even more deadly. Same goes for No-Recoils hacks, which re basically the very similar, since they make you even more accurate. With these 2 hacks combined you are basically 100% accurate even if you are running or sliding on the ground ect. However, we do not recommend that you use these kinds of hacks if you already are using an aimbot. Usually your accuracy rating will already be suspiciously high when using the aimbot and this will only make it worse. Also consider that at the end of every match, all the other players can check out your accuracy and report you for being an obvious hacker. – This is incidentally the main way that people get reported and banned from Warface. –So watch out, please. There are a lot of people out there claiming that they have some miraculous tools or hacks that can add money or credits to your Warfact account or give you unlimited Health (God Mode) in the game. Now it is important to understand how any online FPS works if we want to understand whether these people are legit or not: In any online game there is a client side (your PC) and a server or host that your computer is connected to. Now some information is processed on your computer and then sent to the server (ex. your movements) and some information is processed on the server and sent to your computer (ex. your health, money, credits). Now it is also important to know that we do not have access to the game server and cannot possibly change anything being processed there without breaking ton of laws. There is no way to change your money, credits or health in Warface and all the people telling you they can do it simply want to get your money, infect your pc or whatever. Imagine if this was possible: Everyone would do it, the developers would make no money and the game would die. Please don’t fall for this kind of stuff.